The good news is that is it entirely possible to have a green, healthy lawn without investing undue amounts of money and effort. 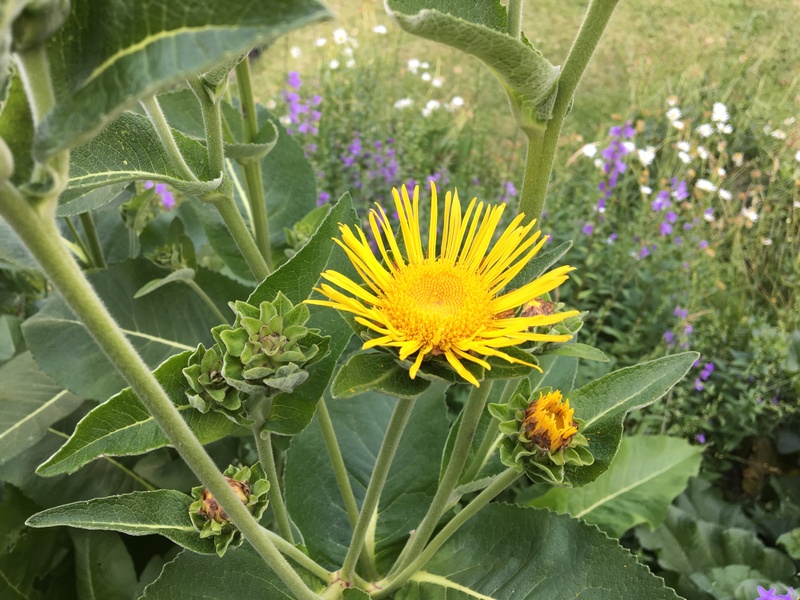 Here we share the “big lesson” about how to outsmart weeds, offer specific suggestions for alternative practices, mention some allowable products that you can use (if needed), and provide links to further sources of information. Also look below for ideas about alternatives to regular grass for your green spaces. This may even get you thinking about what the purpose of your lawn is, in the first place. DISCLAIMER: This web site is primarily about cosmetic pesticides. The following tips are intended to provide some general ideas and information about healthy lawns and alternatives. For information about your particular needs, we recommend consulting a knowledgeable lawn care service provider, a well-informed professional at a garden centre or another dependable source of horticultural advice. In two words, one of the big lessons about nurturing a healthy lawn under any circumstances is this: healthy turf. If the ground where you are growing your lawn is healthy and sound, weeds will find they just can’t get a foot in the door. Here are ways to build happy turf. 1. Aerate: Aeration is a process of making small perforations in the soil so that air, water and nutrients can get down to the roots of the grass. The little cores that are punched out of the turf are left on the surface. Whether you do this yourself with your own aerator or a rented one, or hire someone to do it for you, this will be one of the best treatments you can offer to rehabilitate a tired lawn. 2. Overseed: Overseeding an existing lawn will help create a thick grass cover that will crowd out competing weeds. It involves spreading seed over the entire lawn, with special attention to any brown patches. This can also be a time to apply a thin layer of soil (not more than a quarter inch, experts say) to give the seeds something to burrow into. Then lightly water daily until the new grass is the same height as the rest of the lawn. 3. Amend: Top-dressing the lawn periodically with, for example, a layer of finished compost is a good idea. Organic compost helps improve the structure of virtually any soil type – heavy clay, sandy soil or anything in between. And compost also helps balance soil pH, whether acidic or alkaline. 4. Fertilize: Research suggests that people tend to over-fertilize their lawns, often applying more than the grass can handle. If your grass needs a little boost, use an organic fertilizer. 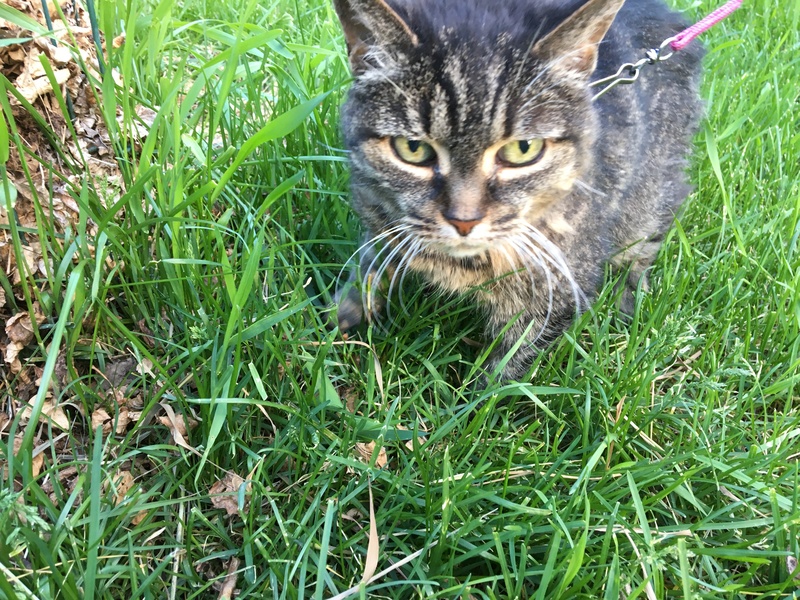 Two good choices are grass clippings (you can just leave them on your lawn) and corn gluten (which also helps prevent dandelions and other weeds from emerging in the spring). 5. Mow: Mow when needed, but don’t shave off too much at a time. Mowing pros suggest removing no more than one-third of the length of the blade. 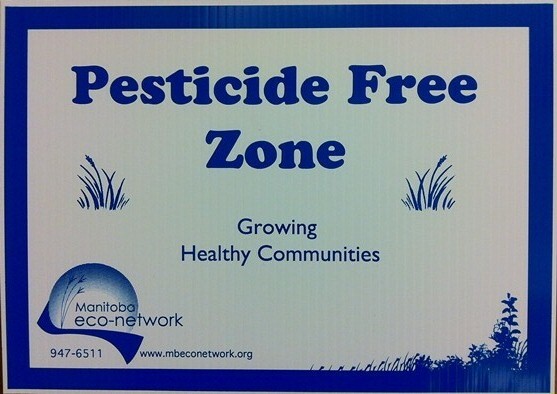 Manitoba’s Non-Essential Pesticide Use Regulation lists the following substances as allowable under the province’s cosmetic pesticide ban: acetic acid, ammonium soaps of fatty acids, Chondrostereum purpureum strain PFC2139, citric acid, corn gluten meal, fatty acid, iron (ferrous or ferric) sulfate, iron if present as FeHEDTA, lactic acid, liquid corn gluten, Phoma macrostoma strain 94-44B, Sclerotinia minor, soap (potassium salts of fatty acid), sodium chloride, and Streptromyces acidiscabies strain RL-110T and Thaxtomin A. GROUND COVERS: To avoid the need for mowing while still having a green and healthy lawn, consider cultivating other ground covers and alternative plantings such as clover, creeping charlie, sedum (there are many kinds), or even moss. Check with a local garden professional for low-maintenance options that are suited to your soil, zone, moisture and sun-shade conditions. Some choices are also drought-resistant and some are tough enough to walk on. ORNAMENTAL GRASSES AND SHRUBS: Larger plants and shrubs completely avoid the need for mowing. There are dozens of options. 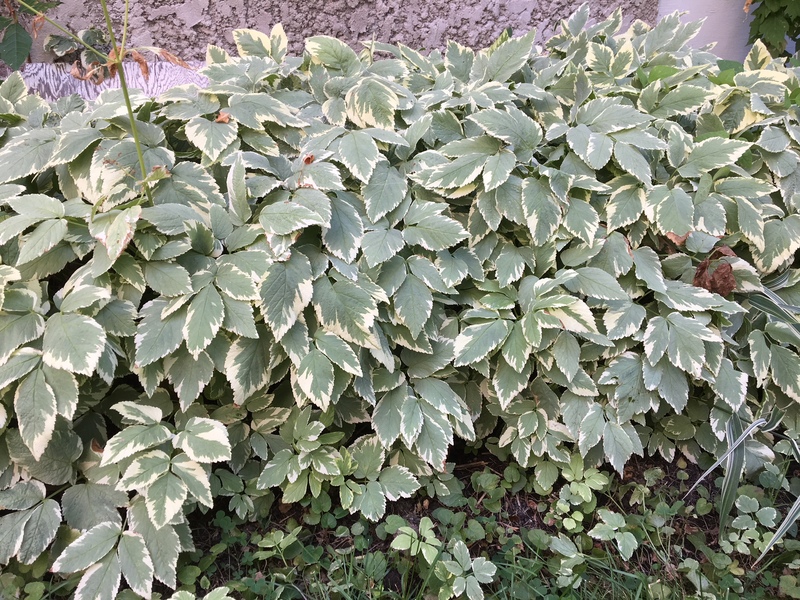 Variegated bishop’s goutweed can out-compete just about anything. Ornamental grasses can look spectacular, and there are many different shapes and heights. VEGETABLES: Turn some or all of your lawn space into a vegetable garden that can provide fresh and tasty food for the table. You may be surprised at how much produce you can grow in even a small area. NOT RECOMMENDED: How about just paving the whole thing? Maybe not. Cities are already extensively covered in hard surfaces that don’t allow water to penetrate into the ground. They need open spaces to soak up rainwater and reduce flooding. Permeable surfaces also help to re-charge groundwater supplies. So keeping some open spaces is a good environmental strategy. And green, growing plants are a lot more appealing than asphalt and concrete. What you would like the green spaces in your yard to do for you? Do you feel you must grow a carpet-like lawn because that is what your neighbours do? On reflection, maybe you prefer a low-maintenance ground cover that does not need mowing … a greater variety of textures and sizes in plants … a more naturalized and interesting diversity of native prairie plants … access to fresh vegetables from your own yard … If so, perhaps it is time to think outside the lawn.